Homeowners are always finding exciting new places to showcase the natural beauty of granite in their homes. In addition to kitchen design, and bathroom vanities, another place where granite is showcased is as a fireplace surround and hearth. Granite’s naturally heat resistant making it a perfect material for a fireplace surround. 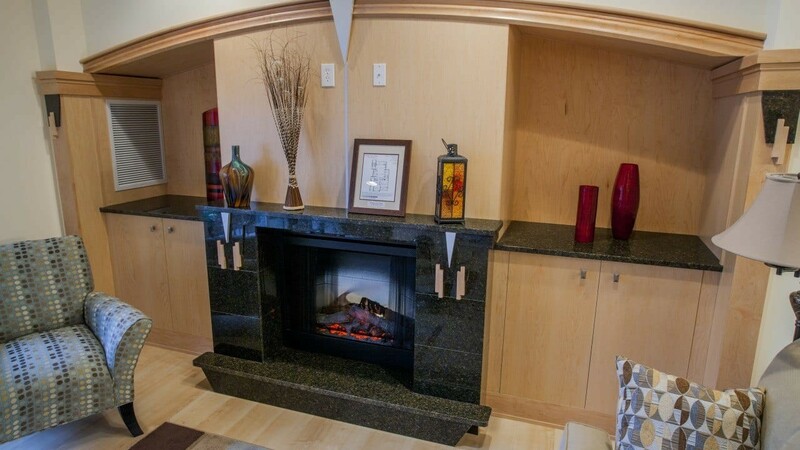 Additionally, granite can make an ordinary fireplace a gorgeous focal point. That’s why it’s critical for you to have the slabs that are popular right now in your inventory. The professionals at SlabMarket.com can help you select the perfect slabs for your container. Granite is a bold design statement and reflects the homeowner's personal design style. A hearth and surround can be subtle, complementing other elements of the room, or bold, standing in stark contrast to its surroundings. Granite is unmatched when it comes to strength and durability, unlike other natural stones which can become discolored after being exposed to heat for a prolonged period of time. Granite remains one of the most popular materials for homeowners designing or upgrading their kitchen. Known for its durability and strength, when properly cared for and maintained granite will last a lifetime, or two! Naturally scratch and heat resistant, sealed properly it’s also stain resistant, and no other material adds the natural warmth and beauty that granite does. It’s an investment in both the value of your home and the value of your home life that will never go out of style. Used for creating a relaxing atmosphere as often as for heating a room, the basic elements of the fireplace that granite can be used for include the surround, the decorative frame around the fireplace’s opening, the hearth, which is the floor of the fireplace that typically extends out into a room, and the mantle. Popular granites used for fireplace surrounds and hearths are generally those with natural hues like the one shown above. This down-to-earth look works with just about any design style, from modern to contemporary to traditional. With containers filled to your specifications and delivered to you directly, there’s no reason not to have these popular granite slabs in your inventory. Granite isn’t just for kitchen countertops and bathroom vanities anymore, along with many other applications it’s an excellent material for fireplace surrounds and every slab boasts its own individual patterns and coloring. No two slabs are alike! Well-known and much-appreciated for its durability, granite fits this application so well because of its resistance to damage or discoloration due to heat. Versatile and beautiful granite slabs are available in an array of colors and patterns. When customers ask about using granite for their fireplace update, encourage them to consider these design trends; choosing an earth-toned granite that includes gold and brown highlights enhance the fires visual warmth, and using two colors of granite for the fireplace surround and the hearth creates eye-catching contrast. 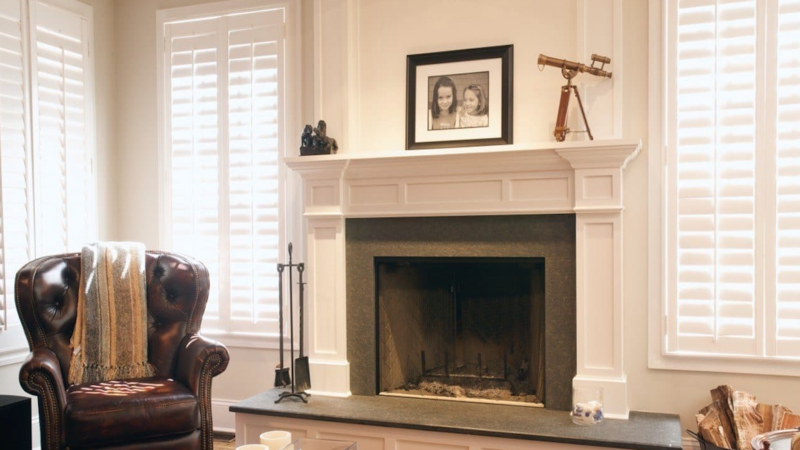 The possibilities for using granite to upgrade fireplace surrounds and hearths are limitless, and the available colors and patterns are practically endless. Experts agree this trend is going to stay, so make sure you have the granite slabs in your inventory that homeowners will want to see. Our staff will gladly help you select the most popular and beautiful granite slabs for your container. If you’d like to learn more about the granites that make the best fireplace surrounds and hearths, visit SlabMarket.com. Our experts are available to answer questions and to help you put together the ideal container with the granite slabs your marketplace is looking for.